be quiet! has always been associated to keeping things functional. Their very name endorses this fact and for a number of years regardless of temperature performance figures, their cooling products have always been about achieving low-noise emission. Today’s product review sees us analyse their latest computer case venture which appeals to the inner purist – those of us who insist on traditional design ideals. This isn’t such a bad idea at all when we take a brief look at a market which is obsessed by RGB lighting and gimmicks which fail to achieve even basic levels of functionality. Pure Base 600 was released at the beginning of the year and focusses on the essentials in computer case engineering. Fast forward to March 2017 and we have a slightly modified version named “Window” which carries a tempered glass panel. Inside, be quiet! 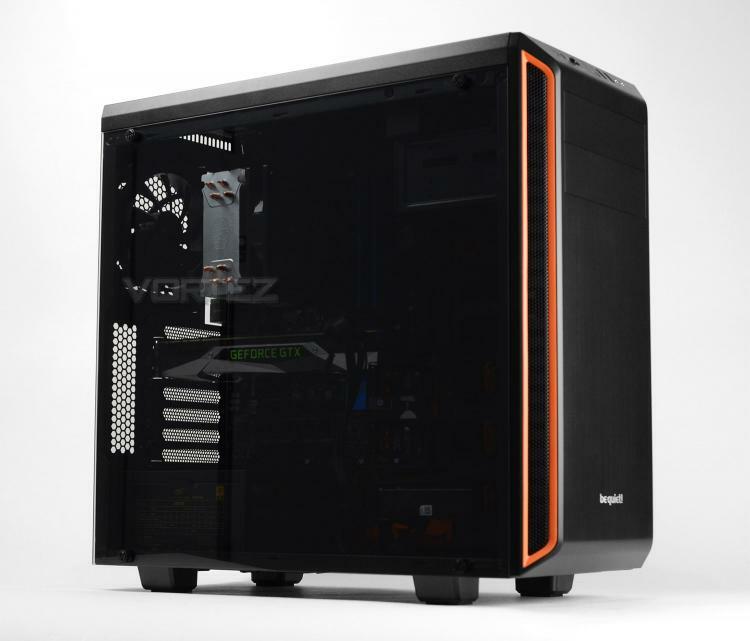 has equipped this case to house high-performance hardware; including a plethora of locations for different sized water cooling kit.